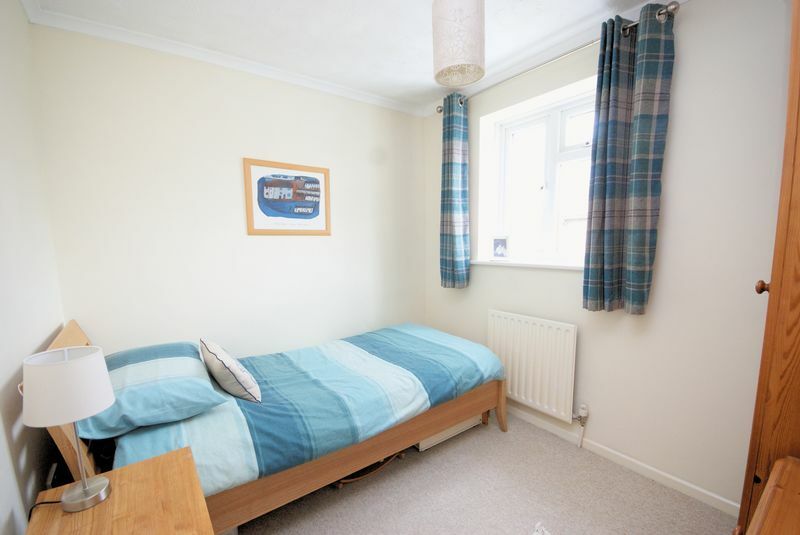 Flat ceiling, radiator, stairs to first floor, under stairs storage cupboard. 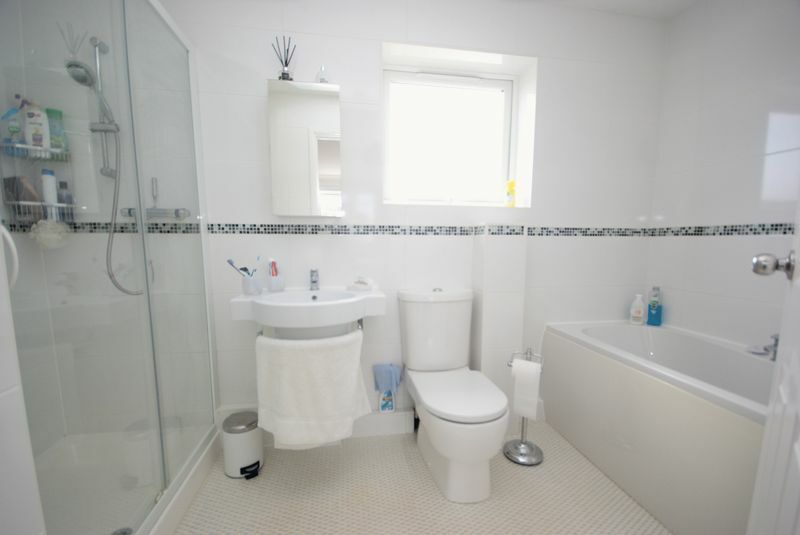 Close coupled WC, wash hand basin with tiled splash back, obscured UPVC double glazed window to side elevation, radiator, vinyl flooring. Coved ceiling, UPVC double glazed bay window to front elevation, radiator, laminate flooring. Coved ceiling, inset spotlighting, fitted with a range of base and matching eye level units, drawer units, rolltop worksurface, tiled splash back, gas hob, double electric oven, one and a half bowl single drainer stainless steel sink unit with mixer tap, recess and plumbing for washing machine and dishwasher, recess for under-counter fridge and freezer, under-unit lighting, plinth heater, UPVC double glazed door to side of property. 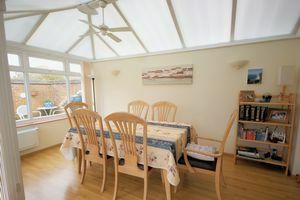 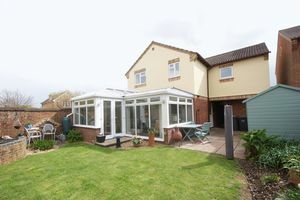 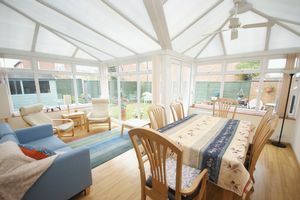 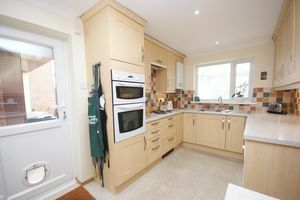 Polycarbonate roof, UPVC double glazed windows and double opening doors overlooking the rear garden, laminate flooring. 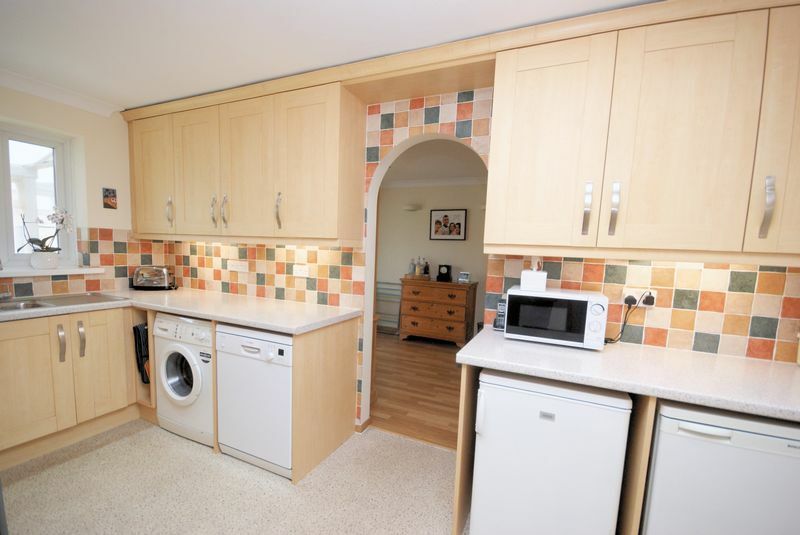 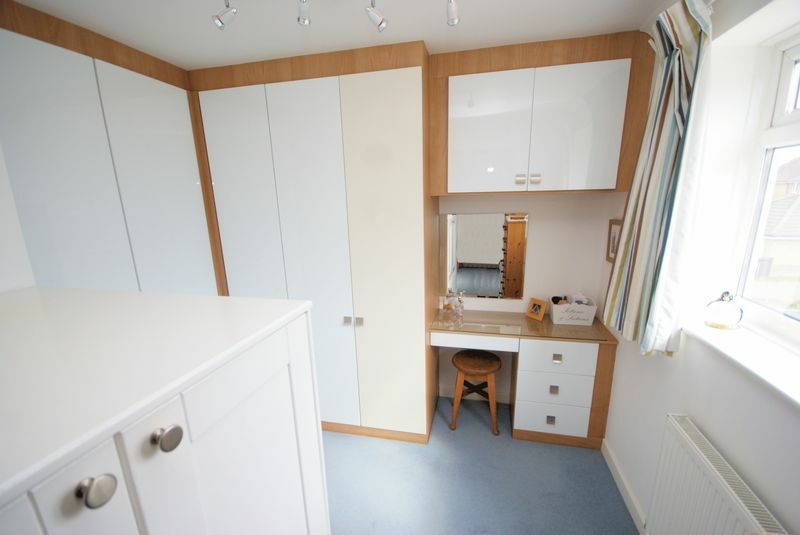 Flat ceiling, access to loft space, storage cupboard with slatted shelving and radiator. 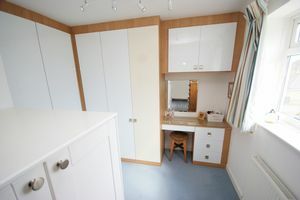 Fitted with a range of wardrobes, dressing table and drawer units, high level storage cupboard, UPVC double glazed window to front elevation, radiator, further deep storage cupboard. 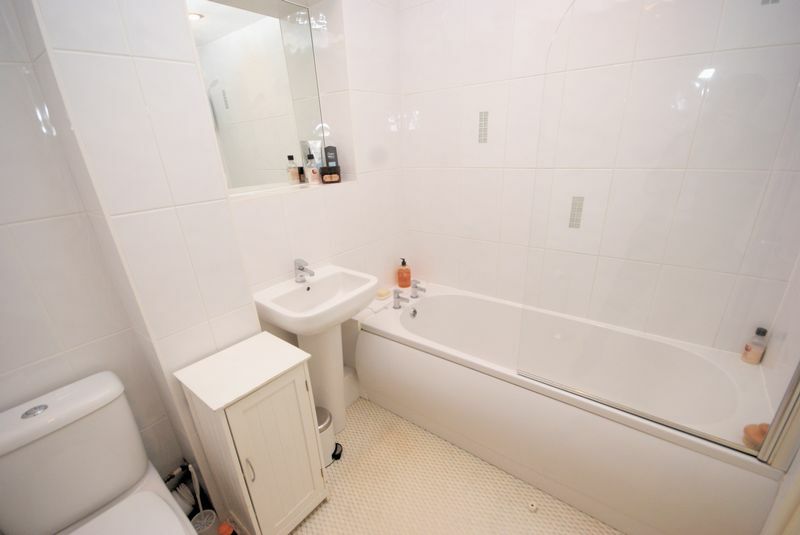 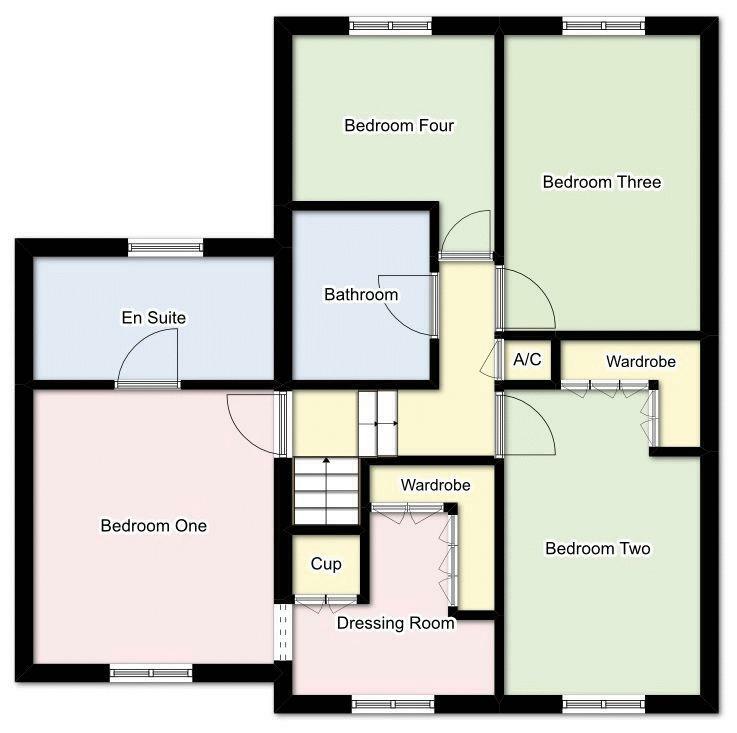 Close coupled WC, wash hand basin, double shower cubicle with mains shower, panelled bath, ladder style radiator, tiled walls, obscured UPVC double glazed window to rear elevation. 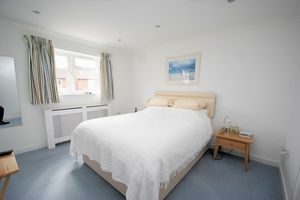 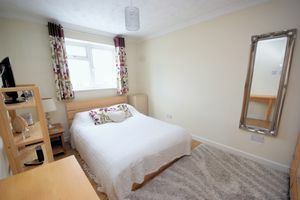 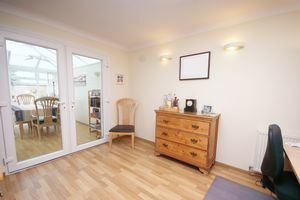 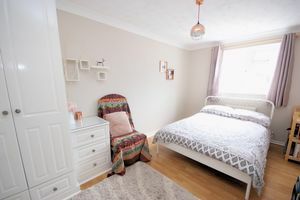 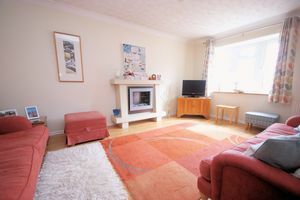 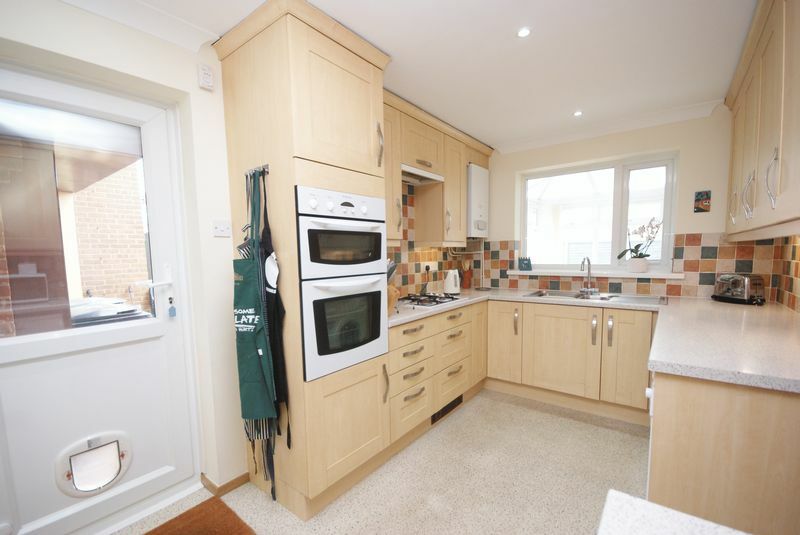 Coved ceiling, UPVC double glazed window to front elevation, radiator, range of built-in wardrobes and drawer units, laminate flooring, radiator and heated towel rail. Coved ceiling, UPVC double glazed window to rear elevation, radiator. 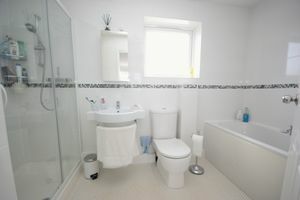 Flat ceiling with inset spotlighting, close coupled WC, pedestal wash hand basin, panelled bath with electric shower over, ladder style radiator. 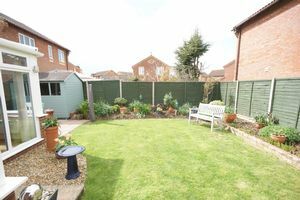 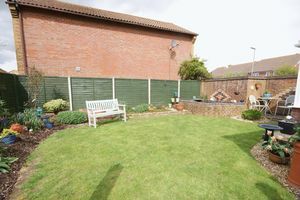 The rear garden is enclosed by panelled fencing, laid to lawn with flower borders, raised pond, patio area, timber shed to remain, pedestrian access via gate, courtesy door to garage. 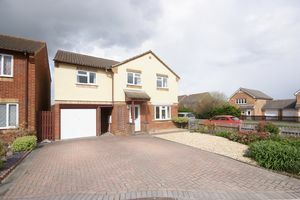 To the front of the property is a paved driveway providing off-road parking for numerous vehicles leading to garage with up and over door, power and light connected, shelving and storage cupboards.